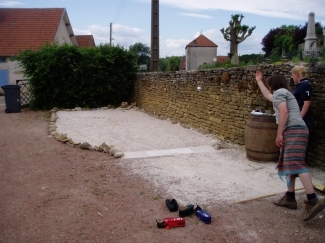 The "Ancien Resto" is in the middle of the quiet village of Marcilly-Ogny in the depth of the Burgundy countryside. 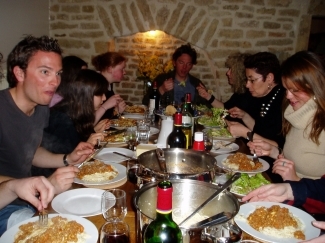 Originally the village�s restaurant/ bar/ general store, the house is fully equipped for a family holiday and is conveniently located for trips to the Morvan National Park, historic Dijon and Vezelay and, of course, the vineyards of the C�te d�Or and the beautiful town of Beaune. 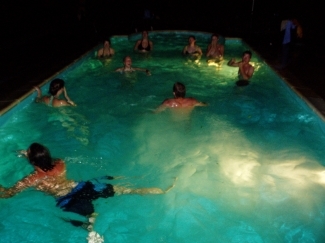 Nearby lakes offer the opportunity to swim, sail and windsurf. There are two Golf courses close by. 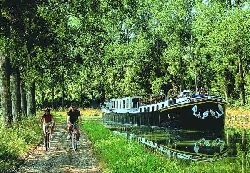 The countryside around the village is ideal for walking and bicycling� and then of course there�s the wine and food�..you can either provide for yourselves or visit excellent restaurants in Saulieu, Chailly, Chateauneuf or Arnay le Duc. 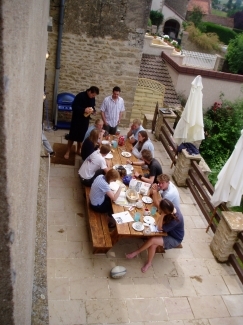 The house is fully equipped for parties of up to 12 with 2 double and 3 twin bedrooms and a bunk-room, 3 showers and a bath. The large Salon has the family dining table and a wood burning fire, stereo and Satellite TV as well as plenty of relaxed seating. 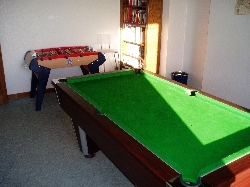 In addition, there is a separate games room with pool table and table-football. 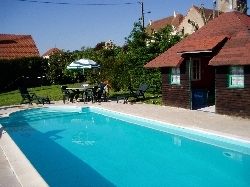 Outside there is a large terrace with a gas barbecue and outside dining tables, an outside games room with Table Tennis and Darts Board, and the (heated) swimming pool. The kitchen has a 5-burner gas hob, electric oven, microwave, food processor, toaster, toasted sandwich-maker and dishwasher. There is also a washing machine, tumble dryer, cot and a high chair. All bed linen and Bath towels are supplied. The beds have duvets. 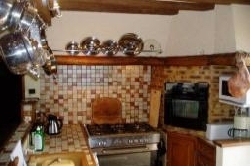 The house has oil-fired central heating.